The development of our next vision and strategic plan has continued since Christmas as members of our Senior Leadership Team (SLT) have been reflecting on the hundreds of ideas submitted by colleagues and using these ideas, and the many conversations that underpin them, to help shape the future vision for the University. Colleague feedback has reinforced why we exist and what we are here to do, including widespread support for our core goals. Other themes emerging include the central importance of our people, the need to think differently about how we do things, and our potentially distinctive role both locally and internationally. Colleagues also highlighted the importance of our values as an organisation and we will be following up on this in the coming months. 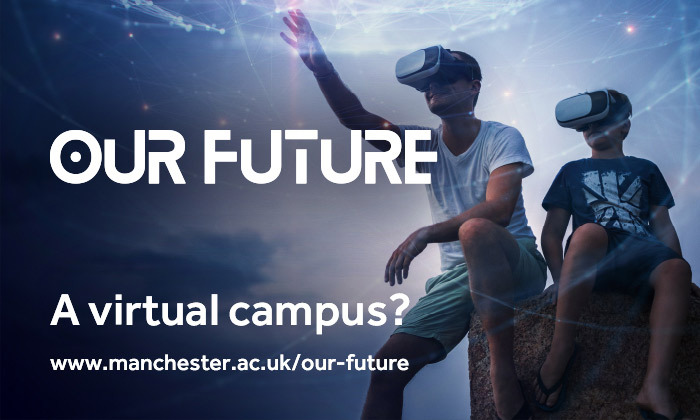 Matt Atkin, Director of Planning, said: “The response to the Our Future consultation showed how much interest there is in the direction of our University and participation exceeded all expectations. Proposals for our new vision are going through Senate and the Board of Governors over the next few months and SLT will begin to identify specific strategic initiatives to form part of the strategic plan – that maps out how we deliver our vision - which will be communicated as the process develops. Meanwhile, leaders across the University are also being encouraged to look in more detail at ideas that can be implemented at a local level, alongside the development of the University-level process. These ideas are on the Our Future Website including the ‘Big Idea Inventory’ which can be filtered by department.